Raghubar Das said that labourers, who are getting Rs 500 as pension per month, will now get Rs 750. 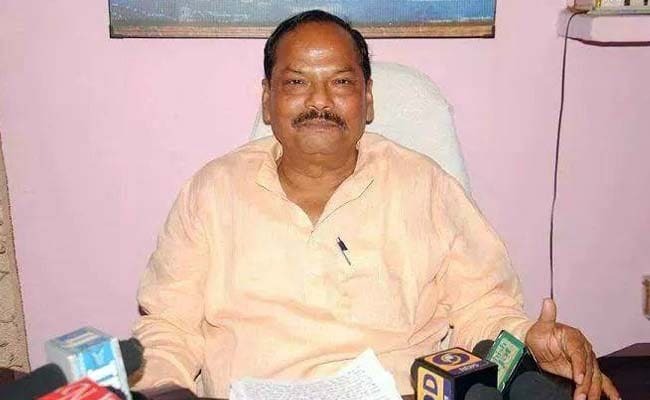 Ranchi: Jharkhand Chief Minister Raghubar Das on Monday said that labourers, who are getting Rs 500 as pension per month, will now get Rs 750 while beneficiaries of family pension will get Rs 500 from the current Rs 300. Addressing "Shramik Samman Samaroh" here on the occasion of Labour Day, the Chief Minister said that both the announcements would be effective from on Monday. The government would also open sports school for the children from poor background so that they could make sports career. Stating that the youth in the remote areas were deviating from the mainstream due to lack of employment, Mr Das said the government is continuously making efforts to get the youth employed. The government has made efforts in providing 900 youths from extremist-affected areas - Pesrar, Jhumra and Gurabandha - jobs in private security agencies and they are getting Rs 8,500 per month. Mr Das said that the Labour, Employment and Training Department was bringing up developmental schemes as well as imparting skills to the youth in naxal-affected areas, which would bring prosperity in their life. He said the state has no dearth of labour force but due to untrained labour force their economic situation is weak so the department is working to train them and strengthen their social and economic condition. Mr Das congratulated the department for coming first for the second successive year in labour reforms, and said due to ease in labour act investors are setting up industries, which is fetching employment. 'Udyami Sakhi Mandal' has been created to generate employment, Das said, adding the government's aim is 'antyodaya' (uplifting the poor). He said labour force from organised sector are connected with trade unions but not the people from the unorganized sector and appealed to the people from the unorganized sector to register themselves so that they could get Centre and state government's schemes. Stating that the government has several welfare schemes, Mr Das directed to set up a week-long camp and open bank accounts to those labourers not having an account. Jharkhand Urban Development Minister CP Singh said that the government was making efforts to give benefit to the mazdoors (labourers). Mr Singh urged the Labour department to register rickshaw pullers, auto-rickshaw pullers and Safai employees so that they could also get benefits from government schemes. Labour, Employment, Training and Skill Development Minister Raj Paliwar said that under the guidance of the chief minister mazdoors were felicitated on the occasion. Several schemes are being taken up by the government to bring smile on the faces of the mazdoors. Mr Paliwar also said that the state government was pondering over to implement the Centre's minimum wage of Rs 325. The mazdoors were also included in Atal Pension Yozana, Pradhan Mantri Jeevan Surakhya Yozana and Pradhan.